Have you ever wondered how your roof is structured? This is important to know since your roof protects your home and signs of damage should be dealt with accordingly. Let’s review a roof’s structure from the lowermost layer going outward. The deck is the base of the roof that is usually made of plywood. It serves as the support for the upper layers. The sheathing is another supportive layer onto which the outer roofing elements are attached. It is made of boards or panel-like materials. Think of this layer as the surface where all other parts of the roof are laid. On top of the sheathing is the leak barrier (ice and water shield). It prevents water from rain, wind, and melting ice and snow from leaking through the roof deck. It also prevents staining on the interior walls and ceilings. Next, the underlayment (felt paper) is installed as an additional protective and waterproofing material. It’s commonly the last layer before the shingles are installed. The material is mainly composed of a roll of paper or fiberglass mixed with asphalt and other waterproofing materials. Finally, a starter shingle is placed at the eave, or the part of the roof that extends beyond the edge. Then, the other shingles are carefully placed to overlap one another until the roofing task is complete. 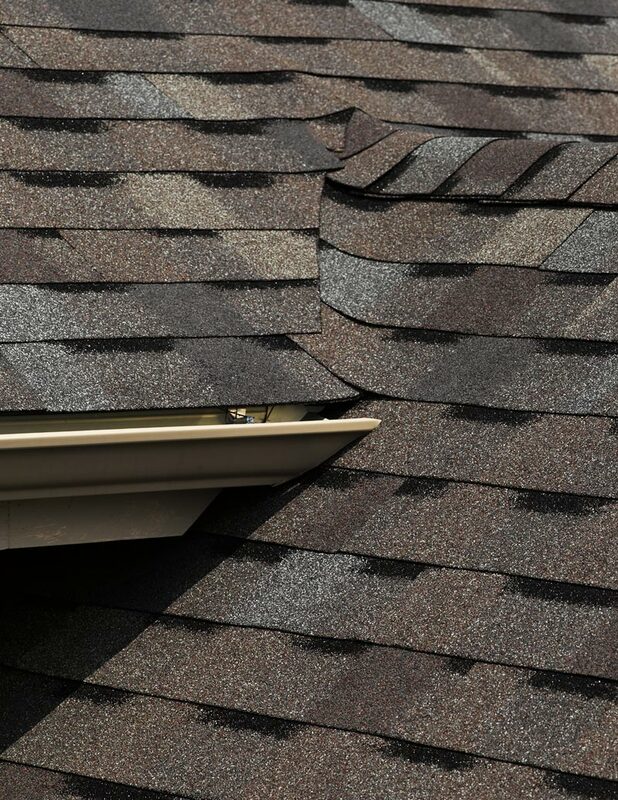 Once you’ve decided to undertake a roofing project or when you need a new roof installed, then the next step is to select the right type of shingle. Below are some of the most common types and their benefits. These types of shingles are the most widely used roofing materials. Nearly four out of five homes in the country have asphalt-shingle roofs. They are popular for designing residential roofs, as they come in a variety of styles, shapes, colors, and sizes. They are relatively cheaper than tiles, wood shake, and other types of roofing materials. Their life expectancy ranges from 20 to 50 years, which is quite long considering the low upfront cost. They are easy to install, repair, and replace. However, they do not perform particularly well in climates that change significantly. They are prone to breaking and cracking and may wear easily. If you decide on using asphalt shingles, then you must choose between having a fiberglass base or a composite base, which is made up of organic materials including cellulose, wood fiber, and others. Fiberglass asphalt shingles are more fire-resistant. 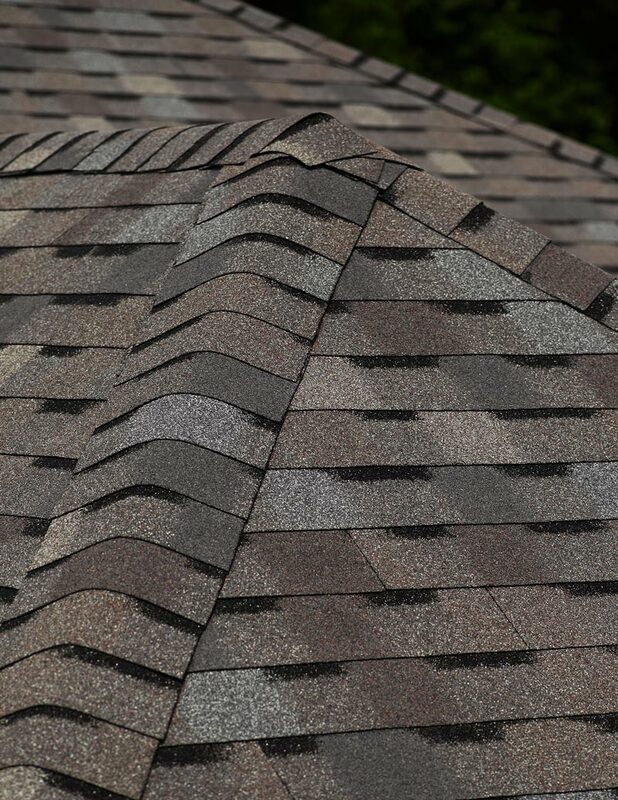 There are also other sub-types, including strip shingles, which are the conventional type, architectural shingles, which are also known as laminated or 3-tab shingles, and interlocking shingles. If you want your home to have a more distinct look, then you may consider using architectural shingles. 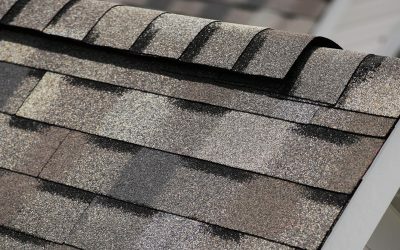 These materials are a premium grade of asphalt shingle roofing, with shingles that are thicker and have a unique, textured appearance. They are traditionally made up of heavy fiberglass mat base and tightly embedded ceramic-coated granules. They provide a beautiful 3D appearance that comes in different colors and textures. 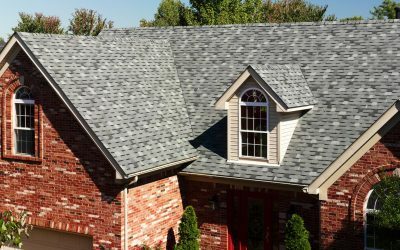 Although these shingles are relatively more expensive than other types of asphalt shingles, they provide a great look and thus a high value for your home. The wooden shingle is the forefather of the asphalt shingle. These roofing materials are sewn together with uniform ends and are narrowed evenly, thus having a streamlined front and back. They are more environmentally friendly than other types of shingles and are energy efficient. In addition, they can last between 30-50 years. Different types of wood can be used for wood shingles, including redwood and cedar. However, obviously, the fire rating of this material is very low. That is, as with any type of wood, this roofing material is not very fire resistant. Additional treatment is also required for waterproofing. Slate is a natural rock mined and specially cut to form slate tiles or shingles. One of the most loved advantages of slate shingles is their durability. They can last between 80 and 100 years, and that’s because they are highly water- and damage-resistant. They have a unique appearance, and because of their good water resistance, they perform excellently in freezing weather. In addition, because of its strength, slate is not easily damaged by wind or hail. However, as one may expect from these characteristics, slate can be quite expensive and heavy. So check if your home can handle the weight of this type of shingle. If your home has a steep or flat roof grade, then you might want to consider a metal roof over asphalt shingles. This material is both durable and attractive. They can last for as long as 50 years and are great at reflecting off heat, which is an advantage during the summer. Modern metal roofing manufacturing has resulted in beautiful designs and patterns that can be adopted. 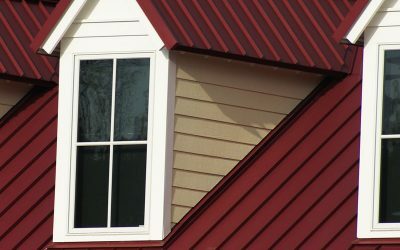 Common materials used for metal roofing include aluminum, steel, copper, tin, and zinc. Their prices vary. For example, a pure copper roof can be very expensive, whereas an aluminum one can be relatively cheap. A disadvantage of this type of roofing is the denting that can occur from falling heavy objects such as hail and tree limbs. The next consideration in buying shingles is the number of different styles to match your taste and requirements. Choosing a color can involve a number of considerations. Climate plays a major role in the selection of roofing material. Snow accumulation and moisture during autumn and spring must be considered; these significantly influence the loads that your roof and your home’s structure will have to carry. Furthermore, snow and rain can result in mildew and rot while extreme heat can result in brittleness without the right materials. As roof color can influence attic temperature significantly, it can make a big difference in heating or cooling your home. Selecting the right color will help keep energy bills manageable. Light shingles reflect sunlight and help keep your home cool; dark shingles absorb heat and can keep your home warm. They also help melt snow and ice easily. Roof color should be coordinated with other elements of your home, including siding, bricks, walls, and other exterior elements. Dark shingles go well with gray or blue houses, brown colors are great for cream or tan homes, and dark gray colors can be used with white houses for a traditional look. The style of roof can influence the curb appeal of your home, which in turn affects your home’s value. The manner in which you want to project your home can be seen in the style of shingles that you adopt. Neutral colors will stay in style for many years and will help ensure a good resale value. Trendier colors are riskier but can yield the highest returns when used correctly. Whether it’s a new roof installation or a reroofing job, it is always best to consult with professionals to learn the best way to approach your project and to prevent costly mistakes. Talk to Messing Roofing and Construction today for more tips on the right shingles to use for your roof. An easy way to determine whether your asphalt shingles need repair or replacement is to carefully climb up to your roof and bend a tab of the roofing on a warm day. A shingle that flexes still has a few years left in its service life. If it breaks and is brittle, then this suggests the roof needs an immediate roof shingle replacement. "Your crew members were ROCK STARS! They were efficient and cleaned up the jobsite every day. I will be recommending you guys to my neighbors"
"Thank you so much for sending Mr. Washburn our way. He and his team did an incredible job. It's like all of the damage never even happened! I would have thought it a MIRACLE had I not seen it with my own eyes. Messing is Awesome!" "I want to extend a big thank you, with much gratitutde,... for taking on the huge challenge to replace the roof on my... house.... Thank youf ro listening to my needs and not telling me my house is just old and difficult to care fore. All homes need a safe and proper roof, whatever the age of the house." Did you know that metal roofing lasts longer than asphalt shingles and also provides energy saving benefits that can save thousands over the roof’s lifetime? Should You Replace Your Roof? This guide will help you determine if you should be concerned about the condition of your roof before it becomes an emergency. We want to help you have a great roof, so we’ve outlined some of the most important things to consider when hiring a roofing contractor.